Purchase Your Protected Single or Master Franchise Territory Now! Limited numbers of single-unit, multi-unit and master franchise territories are available nationally and internationally. So, don’t miss this golden opportunity. Single unit, multiunit and master franchise territories are awarded on the first come first basis. Our Master Franchise program will enable you to be a franchiser of our system in your region. We aim to be in every country of the world. Our mission is to bring effective, ethical spine and joint care through research-based clinical physiotherapy and chiropractic. 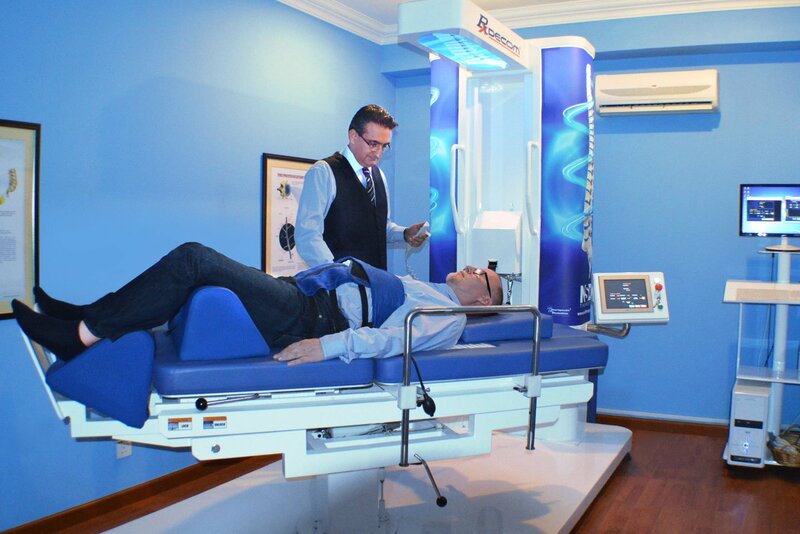 In our centers, physiotherapists and chiropractors use advanced therapeutic devices that others do not have. One such device is the RxDecom®. The RxDecom® is a proprietary therapeutic device that we have attained distribution rights for nationally and internationally. In short, no other private center can use it in a protected franchised territory. To conclude, our technology and our non-invasive methods of care are far superior to the competition. Reserve the best healthcare franchise territory today. Physiotherapy and Chiropractic are Better Together: Protected Your Single or Master Franchise Territories Today. Chiropractic Specialty Center® makes it possible for you to start your own chiropractic and physiotherapy center from protected single-unit, multi-unit or master franchise territories. Some opt for physiotherapy business, while others focus on chiropractic. Our franchise system allows you to launch a business that offers chiropractic and physiotherapy together. Don’t limit your client to just physiotherapy or chiropractic. Offer both and much more by joining our thriving chiropractic and physiotherapy franchise program. If you are thinking about healthcare business, you must look into us. Our physiotherapy and chiropractic franchise can be rewarding and highly profitable. Spine and joint problems are rampant. We have the tools and the expertise you need to succeed where others fail. Our program offers unique options and territories where you will be able to dominate the market. All we need you to do is to fully follow our systems and implement the procedures we ask of you. Success can be yours if you want it. Some say success can be achieved if you work hard. But that has worked very hard are still not successful. Therefore, the key to success is not working hard, but working smart. We have developed business systems and methodologies to enable you to achieve higher clinical achievements and financial rewards even if you have limited time. Our franchise experts and business development teams will hold your hand every step of the way. Join our successful team for a rewarding investment. For more information, please contact our Director of Franchise today and learn more about our available single unit, multi-unit or master franchise territories, and business.